One of my closest friends was vacationing in Japan back in January and surprised me with a few goodies when she got back! One thing she brought me was this cute matching bowl and plate along with his and her chop sticks. I immediately knew I'd be making something in the near future to show them off. Thanks, Christy! I'm a sucker for Chinese food, so I figured I'd try making something new that I haven't ordered at a restaurant before. If you also love yourself some good Chinese food, but hate how unhealthy it is for you, definitely give this one a try. You avoid the deep fryer all together, but the flavor is still out of this world. If you like a little heat in your food, this will satisfy that as well. I wouldn't say it's the spiciest thing I've ever eaten, but there is a very prominent kick in it! I'm sure you could try this out with pork or shrimp if you don't want to use chicken, too. Enjoy! Side note: Thankfully Christy missed the horrible events that are taking place over there currently, but please remember to keep Japan and all those innocent people in your thoughts and prayers. 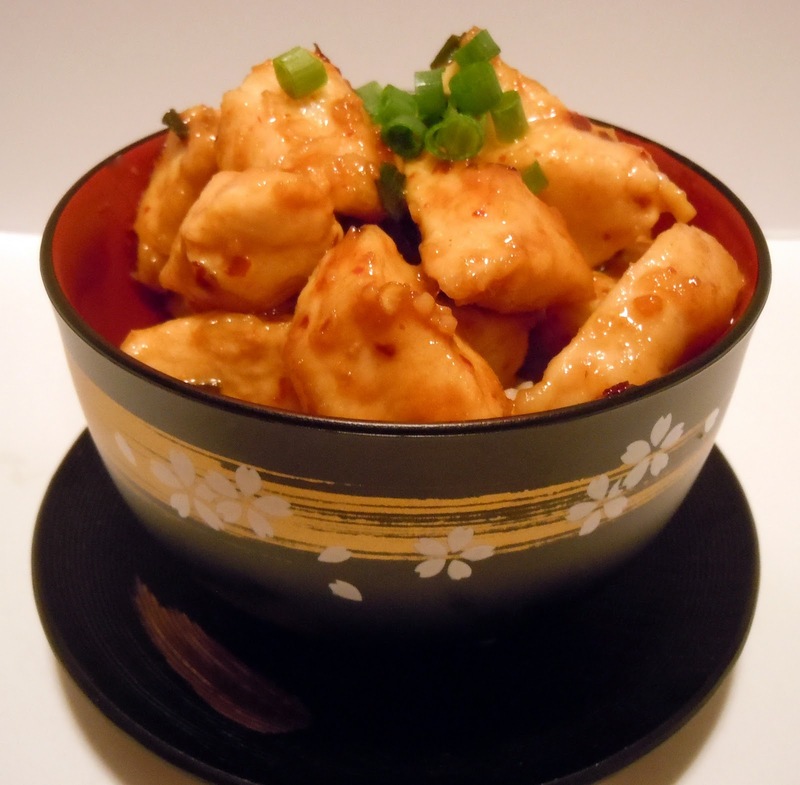 Combine chicken and cornstarch in a small bowl and toss to coat. Heat 2 teaspoons of sesame oil in a large deep-dish skillet over medium heat. Add chicken and stir fry 5-7 minutes or until no longer pink inside. Remove chicken from wok. 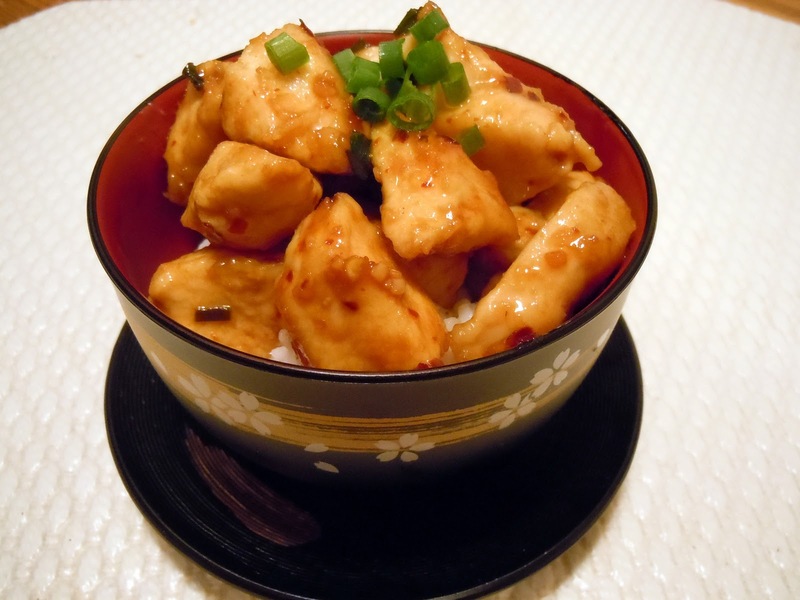 Combine soy sauce, vinegar and sugar in a small bowl. Set aside. If necessary, add another teaspoon of sesame oil to the skillet so it is not dry. Add green onions, garlic, red pepper flakes and ginger to the wok and stir fry for 15 seconds. Add the soy sauce mixture and combine. Return chicken to the wok and coat with sauce. Cook just until heated through. Top with additional green onions if desired and serve over white rice.